Property 4: Rosie's Woodland Paradise! Come relax and rejuvenate! Property 12: Location!!! A one minute walk to Downtown, yet located in a quiet neighborhood! Beautiful Luxury Cottage. Walk To It All! Property 16: Beautiful Luxury Cottage. Walk To It All! Property 18: Ashland Artist Country Retreat, Just 5 Minutes from Town! Property 19: Vacation in Comfort and Style! Property 20: The Loft at Brenden House with private deck, kitchen, WIFI, A/C and parking. Property 24: Cozy Grants Pass Home - Walk to Rogue River! Property 27: Stunning studio, Italian Motif, Walk to Town. Applinger Farm...a great place to gather! Property 31: Applinger Farm...a great place to gather! Property 39: Luxury Cottage in Jacksonville's Historic Core! 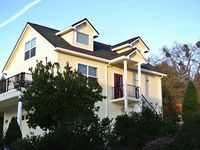 Rustic Grants Pass Rental Across From Rogue River! 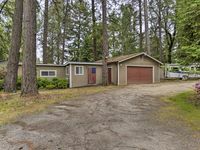 Property 41: Rustic Grants Pass Rental Across From Rogue River! Property 43: Tranquil Gold Hill Home - Steps from Rogue River! Property 45: A Zen-like Getaway! Just minutes to Ashland! Beautifully Appointed! Property 46: Siskiyou Mountains / Rogue Valley View! Very comfortable, perfect for 2 people. The kitchen was large and had everything needed for cooking. Nice quite neighborhood. Large living room, dining room and upstairs bedroom. The owners were out of town during our stay but were very responsive the few times we had questions. Highly recommend this place for couples who are looking for a quality place to stay. . .